Warhammer Tau: What Are Your New Year Resolutions? It's time for wargaming new year resolutions again. And I don't know about you, but 2011 was a real non-event of a year. I think that the Grey Knights Codex killed Warhammer 40K for a lot of people. Blood Angels definitely didn't help and as for the Imperial Guard blasting everybody off the board with a 'leaf blower' list, the game just hasn't been much fun. But finally, the Necrons awoke and everyone's interest in the hobby seems to have returned, because there's a new army that isn't a different colour of Space Marine. It also means that Tau, Chaos and Eldar aren't far away from receiving a new Codex as well. Albeit in a year or so. So with wargaming on the rise, Warhammer 40k 6th edition on the way and hopefully a huge tournament network (TableTop Nation) that's easily accessible, 2012 could be a great year for gamers. Last year I attended 2 tournaments and didn't have the best experience at either of them. However, having seen the Throne Of Skulls tournaments and other fun group get togethers, I'm looking forward to playing more fun tournaments rather than all out competitive tournaments. I also haven't been playing any 40K regularly with James, Marc, Luke or anyone else for that matter. So wargaming has been really restricted to simply building and painting stuff, which is a shame. So for 2012 I intend to attend a tournament of some kind every other month. 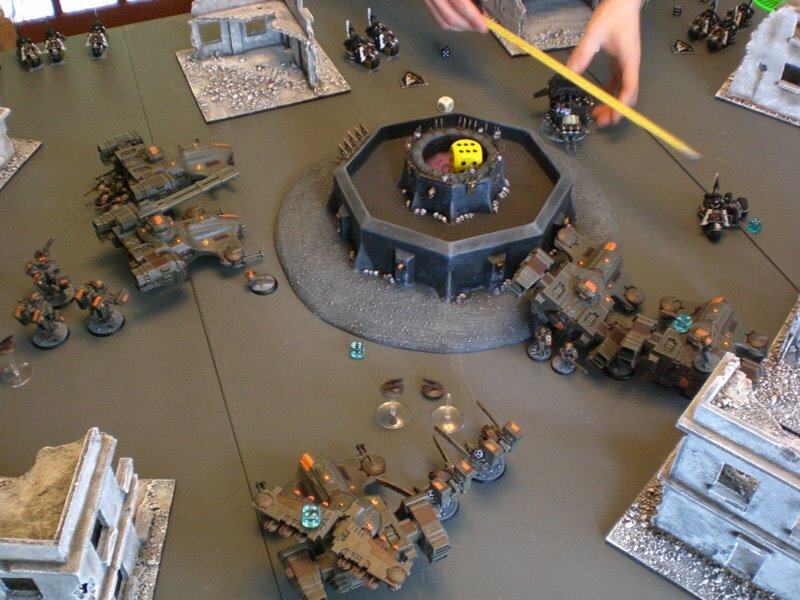 I miss the socialising, I miss the weekends away and most of all I miss playing lots of games against a variety of opponents and armies. If there's one thing I have always suffered from when playing Warhammer 40K, it's my attention span. Typically I will play an army for 2 years before getting fed up with it in some way. The most common reason is because the game has moved on, leaving my beautiful army behind or in need of a huge update. Tempted by new shiny stuff, I tend to sell what I had and start a new army and the cycle begins again. But I'm getting too old for this nonsense. I'm nearly 30, have a fantastic job, girlfriend, house, car and need to focus my attentions on other things. Real life things. 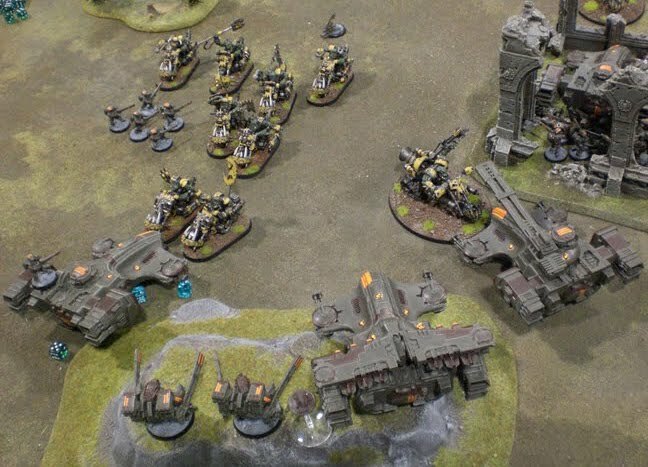 So after some lengthy input from James and Marc, I have decided to settle on Tau Empire as my Warhammer 40K army and High Elves as my Warhammer Fantasy army. These are the two main systems that everybody plays and I'm not really bothered by the other games out there. So I can happily get on with the hobby and just play some games for fun with these two. That gives me plenty to paint too! It's a tough thing to stick to, because there are always new armies and new temptations, but as I'm getting older I find that I just have less and less time for hobbies. So I mustn't waste it. So anyway, my time needs to be focussed and better spent on building and painting my armies. So I have set up an iGoogle page as my home page with all the feeds from the most important websites in my life. This way I can just scan the feeds and see if anything interesting catches my eye. When I'm done I can just turn off the computer and walk away. Thanks alot for the intel on igoogle, just set one up too, it's pretty nice. As for the Necron Codex, i fail to see how it got people back into the game, for me it was the opposite. It was like a second low blow from GW after the GK codex. For a new year resolution? i dunno, maybe stop being lazy and go buy some new brushs so i can start back painting. i wish you an happy nwe Tau'cyr and many many good preys! I definitely spend too much time online looking for something to entertain me. If you look at Ron of From the Warp fame, he has said he doesn't bother with forums anymore, generally speaking. And he paints oodles of high quality minis. So if a super talented dude deliberately keeps focused, how much more should someone more mortal [me] not waste their time? There are some sites I visit and after I've spent time there I think 'why did I bother' and yet I go back the next day. Madness! We definitely become more time poor as we get older, and what point is there in having half a dozen unfinished new shiny things than one or two actually finished things? None. As you said in your Iron Warriors post, sometimes we just need to nut up and do a thing [which can happen when not wasting so much time online] and stop stuffing around. Merry Christmas and a Happy New Year to you, bro. I used to use igoogle, you can add podcasts to it as well. I use feed reader apps like Pulse to check up on stuff on the way to work. It's dead good. I think sticking to your Tau sounds dead good. I think you will still get distracted along the way. I mean who doesnt, I've got some necrons to attest to that. But when you get distracted next time don't sell your Tau! Keep hold of them and you can go back to them in time once the shiny has worn off the distraction. Hmmm, maybe it's just our local meta, but I haven't seen any GK players yet (I mostly play at Cross Gaming in London). But anyway, my only resolution this year is to put on 15kg or as close to it as possible. Oh, you meant gaming related, I guess that would be to ensure that every Space wolf model I put on the table in our 2012 campaign will be painted. I'm working just outside Liverpool Street. I should get myself down there! 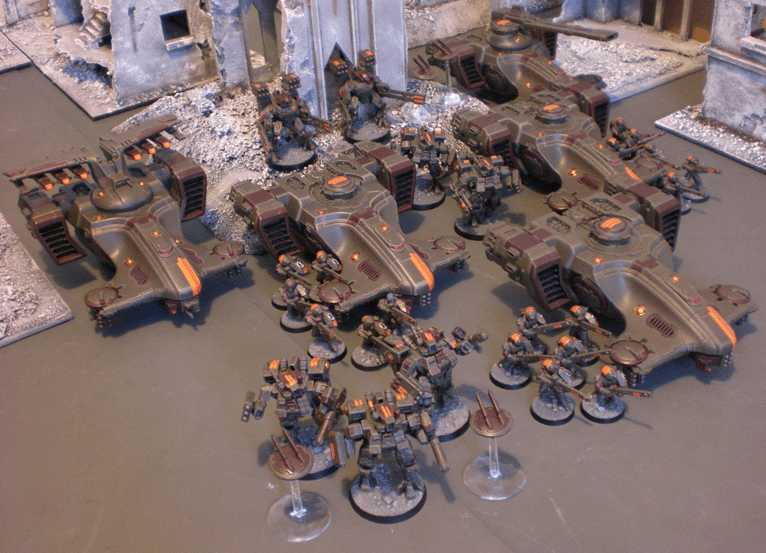 honestly for me, as a competitive tau player (yeah, I know, its an oxymoron) I don't mind the gk, or guard. In fact, I usually love gk; they are just more marines...or less of them as the case may be. The new necrons are fine too..thats what I have blacksun filters for. For me personally, its still space wovles. Cheaper than normal marines and better? How did that codex even get past testing?